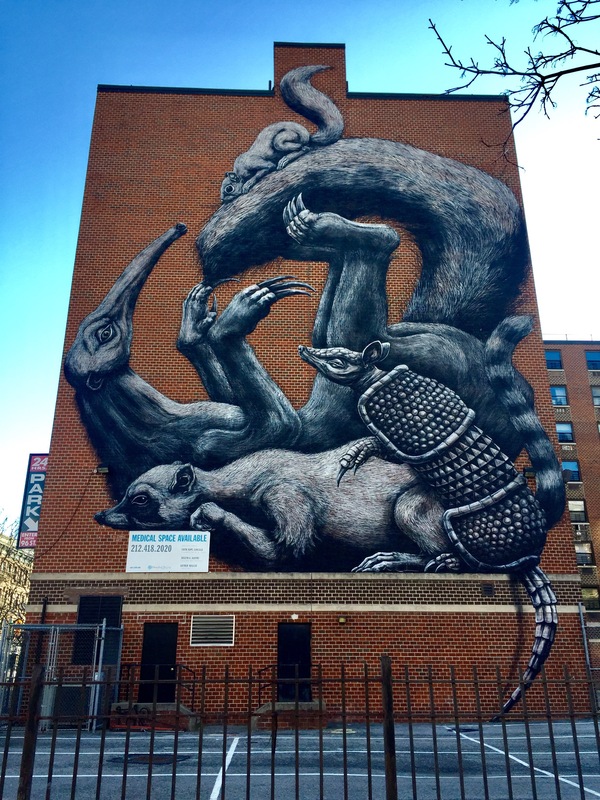 About the artist: Roa is a graffiti street artist from Ghent, Belgium. His unique streetart typically depicts animals and rodents spraypainted in a mixture of black, white and gray colors. Posted in ManhattanTagged MonumentArtNYC, RoaBookmark the permalink.